This book aims to show that certain concepts of religious language – not least the notion of religion itself – obtain their meaning rather synchronically than diachronically, namely with regard to situations of real or imagined contact with other religious traditions. As such, the volume contributes to an interdisciplinary and inter-religious perspective in scholarly research on the emergence, formation and stabilization of religious tradition. The essays expose the various ways of reflection on the possibilities and restraints of communication with another tradition in translation, polemics and dialogue as performed in medieval as well as early modern Buddhism, Islam, Judaism, and Christianity. The volume gathers contributions of experts from East Asian, Jewish and Islamic Studies, Church History, Theology and Religious Studies to Philosophy. 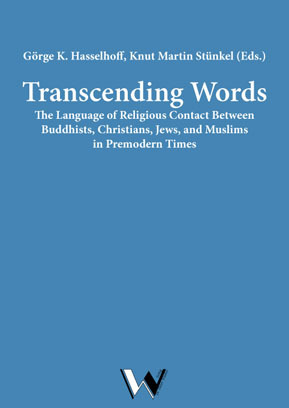 Examining the development of religious language under the guidance of the contact perspective, it acknowledges and emphasizes the close, almost symbiotic relation of religion and language. The introduction of a linguistic meta-perspective on religion is exposed as being occasionally applied by religious traditions themselves, i.e. by developing certain patterns of language that can be used for comparative purposes. Towards a Theory of Meta-communicative Elements in Medieval Religious Dialogues. Abelard's Collationes and the Topology of "Religion"